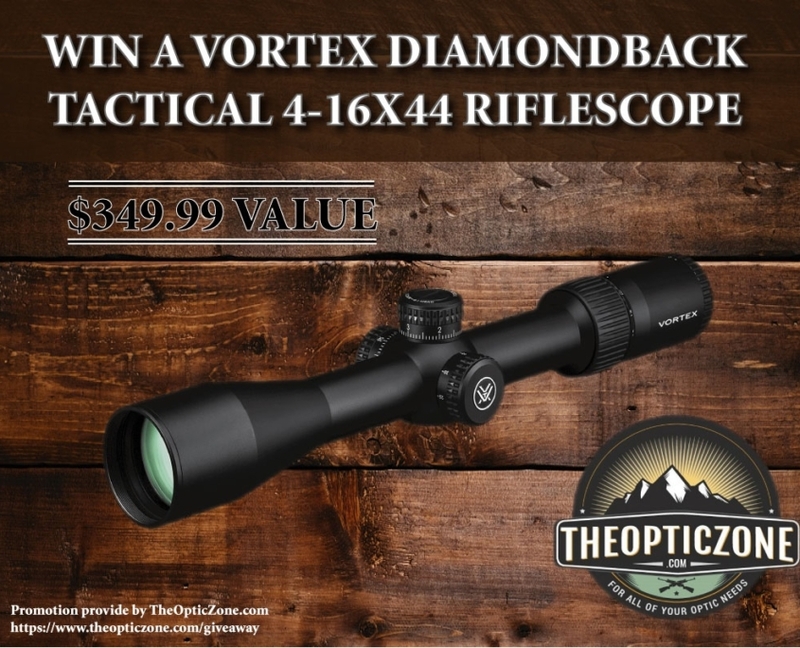 Enter to WIN a Vortex Diamondback Tactical 4-16x44 FFP EBR2C MRAD Matte Riflescope - DBK10027. Winners will be randomly chosen from all emails submitted. Drawing will take place on March 1, 2019. No purchase necessary to be entered.